This event is taking place on Thursday, February 23, 2017 from 5:00 - 9:00 p.m. at the Westin Book Cadillac. Brides are encouraged to bring anyone to this event (such as the groom, bridesmaids, groomsmen, mother, mother-in-law, etc.) 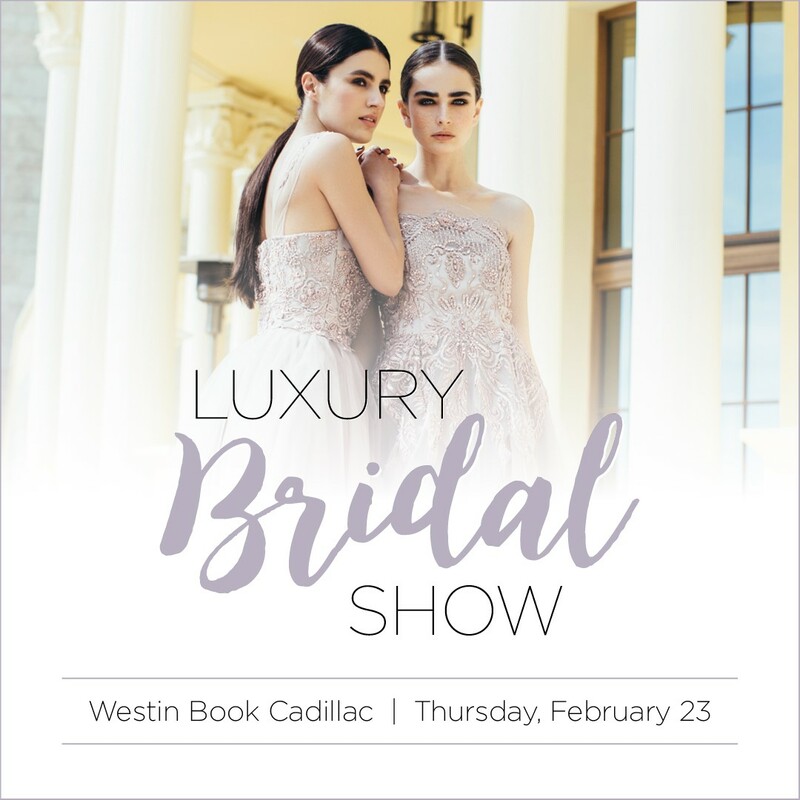 as bridal fashion installations, cake tastings, luxury raffle prize packages and planning tips will all be showcased. General admission tickets are currently $15 in advance and $20 at the door. Likewise, wedding party packages are offered for $50 in advance.